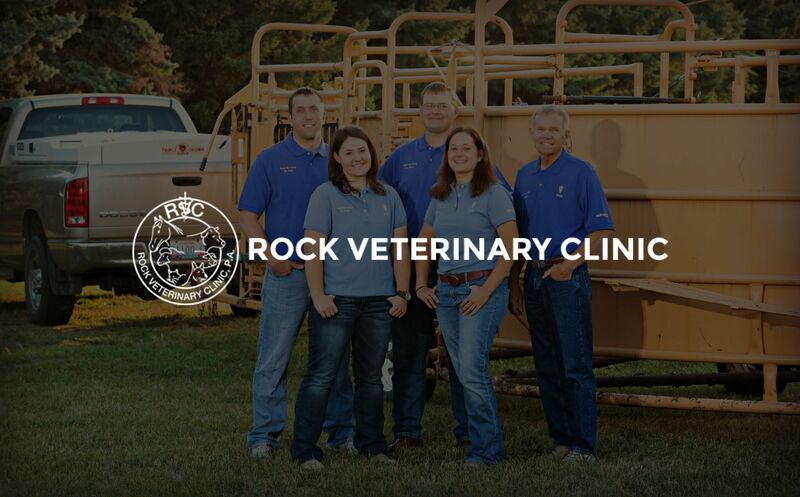 The veterinarians and staff at Rock Veterinary Clinic are ready to provide your pet with cutting edge veterinary medical care. From wellness exams and vaccines to advanced diagnostics and complex surgical procedures, your dog, or cat will receive high quality care at our hospital. We have excellent haul-in facilities for various large animal surgical procedures and processing of large groups of cattle. Recently, we updated our tub and alley equipment to allow for a smoother flow of animals throughout our facility. We are able to fit large/pregnant cows and bulls in our alley. We have an in-house tilt table for bovine foot exams and trimming. An equine stocksis also available for various examinations including dentals and reproductive testing. We provide a wide area of coverage for our large animal services, including (but not limited to): Luverne, Beaver Creek, Hills, Magnolia, Adrian, Ellsworth, Edgerton, Leota, Hardwick, Kenneth, Kanaranzi, Jasper, Pipestone, Worthington, Valley Springs, Brandon, Garretson, Sioux Falls, Larchwood, and Rock Rapids.